"Transform your cluttered basement into an exciting living space"
A basement you can be proud of! updating your basement has undoubtedly crossed your mind. 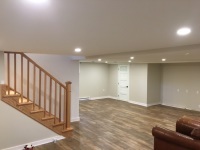 Guided by your vision and unique needs, we use smart basement planning to maximize your layout and upgrade your basement's form and function. 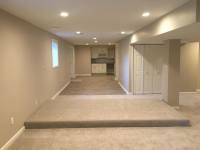 We plan, design and customize your finished basement to make the most out of every square foot. We will create an exquisite relaxing atmosphere for you and your family. The possibilities are endless with a little imagination. 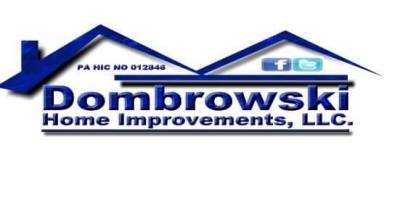 Contact DOMBROWSKI HOME IMPROVEMENTS, LLC today to schedule a no charge, no obligation in home consultation where we will discuss you project with you in detail and provide you with a responsibly priced proposal.